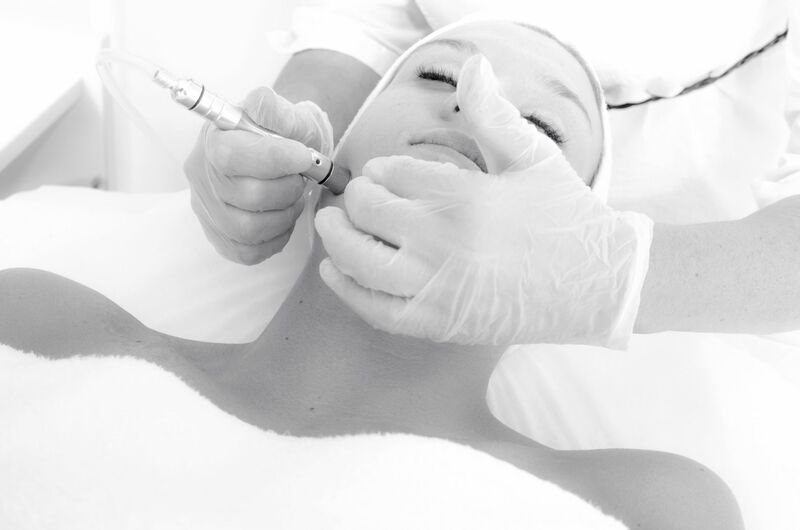 Microdermabrasion is one of the gentlest, fastest anti-ageing and skin correcting treatments. Microdermabrasion is a mechanical way of skin resurfacing, exfoliating the upper layers of the skin by using a fine abrasive crystal (aluminium oxide) or diamond covered tip. The intensity can be varied to suit an individual skin type, from light exfoliation to a deep resurfacing. This resurfacing effect helps to improve skin texture, brightness and pigmentation, while preventing epidermal thickening and reducing sebum production. Microdermabrasion is used to treat ageing skins, thickened skins, mild acneic skins, acne scarring, enlarged pores and congestion. The best results are when teamed with an enzyme or dermal peel. Microdermabrasion is a suitable skin treatment for most skins unless compromised. Read our blog here explaining the differences and misconceptions around Dermabrasion and Microdermabrasion treatments. The best results are when teamed with an enzyme or dermal peel. Microdermabrasion is a suitable skin treatment for most skins unless compromised. For optimum results a series of 3 – 6 micros teamed with a peel once a fortnight is recommended annually for most skins, although a more intensive program may be recommended for those certain skin issues and must be on full skin prescription prior to commencing series. If you’re seeking a light exfoliation, or have a sensitive/compromised skin, we recommend diamond dermabrasion.